Emily Powell has done it yet again. This time, she has taken the audio of my voice as I read the poem “Yes” and combined it with an array of visuals in her usual creative fashion. “The Chick-fil-A Rap,” the latest offering in the video pantheon of Emily Powell, sings the praises of the humble yardbird and elevates the ubiquitous food to a near-divine pedestal of ambrosial satisfaction. 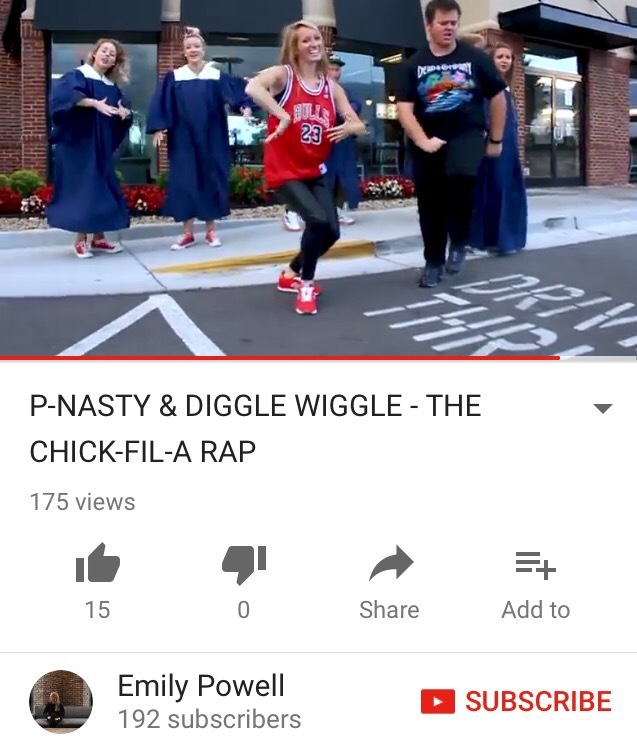 The understated opening begins with a tracking shot of the rapper Diggle-Wiggle walking across the parking lot of a popular Chick-fil-A (a specific location, I might add, that has been the source of a couple of deeply meaningful meals for this reviewer). As he enters, the revelatory shift comes: he is no mere customer, but a poultry evangelist. With the confident swagger and pleading earnestness of a tent revivalist, Wiggle warms to his theme of the desire for, or more accurately, the necessity of, menu item #7 (the biblical number of perfection). As his testimony builds, a robe-clad choir punctuates and encapsulates the message with the refrain: “Ain’t got nothing if I ain’t got Chick-fil-A.” Clearly, this is serious, life-or-death business. Only great providence meets the most desperate of needs. The mood takes a somber and contemplative turn as P-Nasty makes her entrance. Stealing in under the cover of darkness, she confesses to falling away from the way of the Baptist bird. We are left to draw our own conclusions as to where her wayward path might have taken her. She may have succumbed to burgers sold by a clown, been lured by border foods wrapped in border foods held together with cheese, or perhaps she listened to the siren’s song of a purveyor of promised 11 secret herbs and spices (a number symbolizing disorder, something far from perfection). Whatever her transgressions, she knows that no other eatery offers the fellowship and membership under the beacon of the red-lettered sign. But to receive the invitation, she must make the journey; she must cross the road. As she enters, the darkness dissipates as choir members welcome P-Nasty back to the flock. She spreads her arms in wing-like fashion as her hard-core street attire is enrobed in the dress of the faithful. Her sins are covered, and she is lifted up. Ultimately, “The Chick-fil-A Rap” is not about chicken at all, but the grand themes of life. Wherever you may have fallen, mercy is available under the caring wings. The call goes out for all. Celebration follows reconciliation. Straying, redemption and returning home–it’s all there, distilled into 3 minutes and 21 seconds (3 being the number of divine unity and 21 being a multiple of 7 and 3…make of it what you will). I forget all too easily. I am His kid. In His presence. Before His throne. Not only that, He has other children. People I forget to see that way at times. People I forget are standing in His light just as I am. People He calls His beloved. People in His very presence, vessels of His Spirit. My seat mates in the heavenly places. I stop acting like His child. Step away from the light and into my own darkness. And I treat others like people they are not. I needed to be reminded of the throne room. By most standards, he blew it. You will face a series of tests in your walk with Christ. There is no way to avoid it. How you view the tests will be determined by how you view God. If you see Him in the wrong way, you will see your trial in the wrong way. The life of Joseph reveals some of the tests you might face. A while ago, I wrote the post “How To Pray for Your Future Wife” here on my blog. What started as my own prayer list turned into something more. The response was overwhelming at the time, and it still stands as the most-viewed and most-shared post on the site. Since the original posting, I have received emails from numerous countries and have partnered in prayer with others across the globe who connected with me because of how God used that single post. 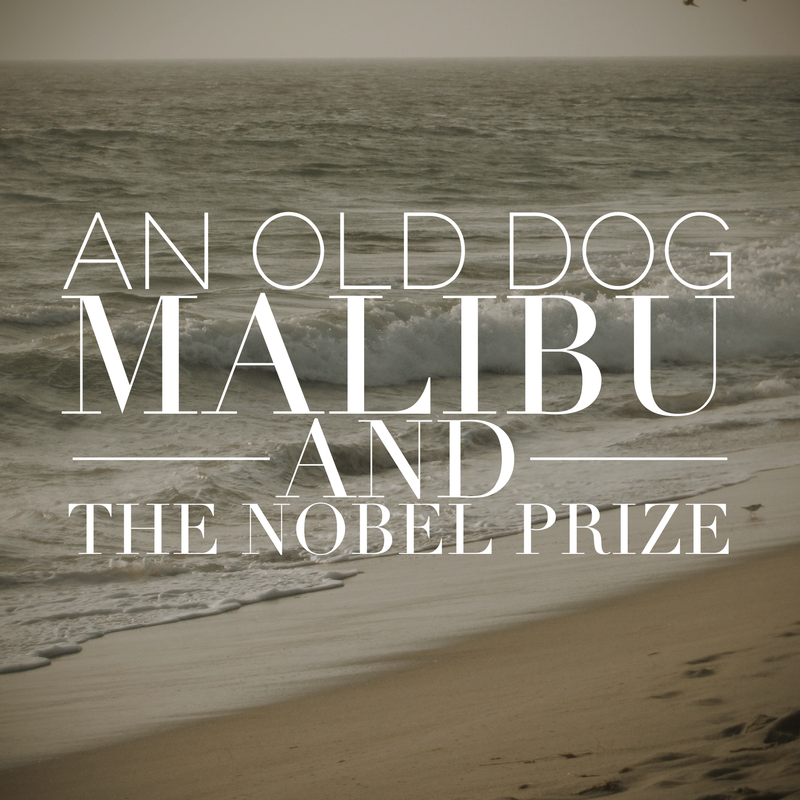 I am deeply humbled by the encouragement, the stories and the prayers that you, the readers, have shared with me. Do you find yourself single on this Valentine’s Day? Kinda’ stinks in some ways, doesn’t it? The overblown marketing began at the local mega-mart sometime around New Year’s Day, so you have been living with the reminder of your solo journey for a month and a half already. You likely have those things that, when they come along, you know that Christmas will be here soon. Maybe it is a decoration, or a food, or a song, or a smell in the air—whatever it may be, when it is present, Christmas is not far behind it. Legalism is just the flesh in its Sunday best. This is the time of year when the thoughts of many turn to family, memories, and or course, gifts.